First weirdo of the day is supposedly a prototype for the AMC Gremlin. I guess it could be. Although the rear part looks like something home made. Although, I must say, this looks pretty well put together. Now neither have an equivalent that exists today. So sad. I know I am in a minority but I loved the Gremlin when it came out. I laugh at myself when I remember that I wanted one with the Levi's interior. I was considering it for my first car but my sensible and optimistic mother advised me that I was a new driver and I was probably going to total it anyway and I should buy a used car (a Dodge Dart which I did not total). No regrets, although I still think there is something oddly cool about it. I've seen other pictures of the AMC in the top photo. My understanding was that it was a concept car from 1974. BTW, to the poster above... My first car was almost a Gremlin. I bought a used AMC Spirit sedan - the one that looked like a Gremlin with a bigger rear quarter window. It was a decent car for the time, but a bit of a gas monster. 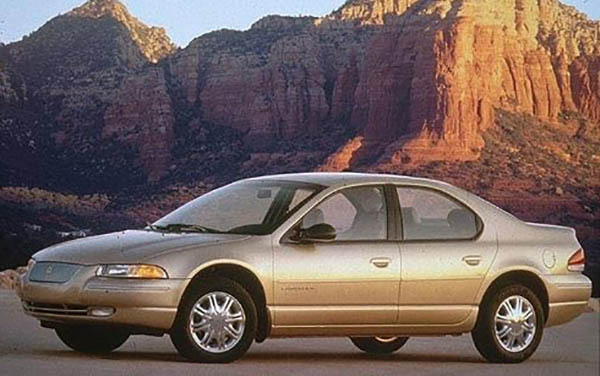 Man, I loved those Stratus/Cirrus sedans when they first came out. The peak of American design leadership in the modern era. No? I agree! Chrysler was on a roll for a few years with great designs. Looking at the rear, I see some of what became the AMC Pacer. A bit roundish with a somewhat similar split-window effect in back. Somehow they must have decided only an angled slice of a 2-door AMC Hornet made sense and then they saved the roundness split rear window idea for the Pacer. 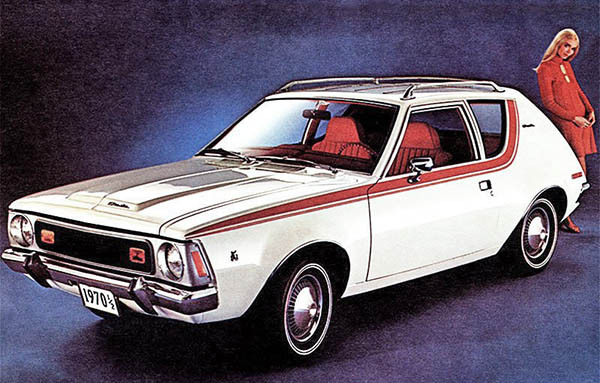 I believe the Gremlin competed with the Chevy Vega, Ford Pinto, perhaps even the Mercury Capri, while trying to stem the growing competition from Japan. Oh well, that didn't work.